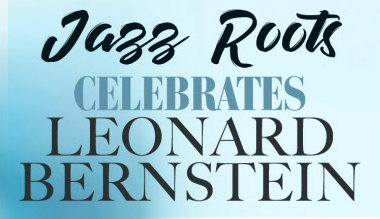 MIAMI, Fla.– This year’s Jazz Roots series will honor musical great Leonard Bernstein. Adrienne Arsht Center for the Performing Arts of Miami-Dade County recently announced the launch of the 11th season of its internationally acclaimed Jazz Roots series with “Leonard Bernstein 100 and Beyond,”a centennial celebration of one of America’s greatest and best-loved music superstars, on Friday, Nov. 9. The one-night-only tribute to the world-renowned composer, conductor and pianist features performances by vocalists Ann Hampton Callaway and Jon Secada, saxophonist Kirk Whalum, pianist Shelly Berg and the Henry Mancini Institute Orchestra. A genre-busting genius who composed symphonic, keyboard, musical theater, jazz and ballet masterpieces; conducted the world’s greatest orchestras; recorded dozens of best-selling, Grammy-winning albums and nurtured the love of classical music in millions of Americans through his groundbreaking television specials, Bernstein has been honored and celebrated this season by arts organizations, festivals and venues throughout the world. The Jazz Roots concert will feature some of the 20th century’s most iconic music reinterpreted and reimagined for today. With a career spanning over two decades, three Grammy Awards, 20 million albums sold in English and Spanish, and starring roles on Broadway, Secada is one of the first bilingual artists to have international crossover success. With a soulful, romantic voice, he is recognized as an international superstar by both fans and peers alike. Callaway is one of the leading champions of the great American Songbook, having made her mark as a singer, pianist, composer, lyricist, arranger, actress, educator, TV host and producer. Berg is the Jazz Roots artistic advisor, a Steinway piano artist and five-time Grammynominated arranger, orchestrator, and producer. He has appeared as a performer and lecturer throughout the United States as well as in Canada, China, Mexico, Europe, Israel, Japan, Romania and Venezuela. Recent projects include recording and/or performing with Tony Bennett, Seal, Lizz Wright, Andra Day, Clint Holmes, Renée Fleming, and Arturo Sandoval. An award-winning educator with 39 years of leadership in higher education, Shelly Berg is Dean and Patricia L. Frost Professor of Music at the Frost School of Music at the University of Miami.